Uttarakhand Forest Development Corporation has been given the integrated task of logging, marketing of timber and minor forest produce, raising new economic plantations and developing the necessary infrastructure. Its activities include Sales, Market Research and Product Management. Products are bid out to purchasers at auction depots situated at different places in Uttarakhand. Auctions are carried out on specific dates that are published in the newspapers. 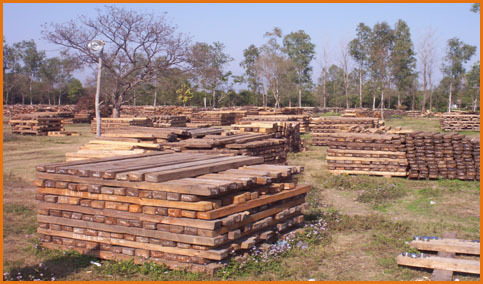 The allotment of wood as raw material to forest based industries established before 11-12-86 is being made by the State Government as per policy guidelines through the Corporation. Allotment is being made only to the Paper industries on a year to year basis. The rates of allotment are fixed on the basis of rates received through auctioning. The Corporation also supplies timber and firewood directly to government departments and corporations.